Tell me about the metal art! Why work with Opulent Pixel? Welcome to Opulent Pixel! Our mission is to make the world a more attractive place to live and work. To accomplish that we offer an extensive collection of fresh, fun, local Dallas photography printed on metal (you have to see these brilliant eye-popping, jaw-dropping prints to believe them!) and delivered to you monthly on a subscription basis (our premium membership). We also offer our metal prints for purchase à la carte, if you prefer. We will liven up your walls and make your world a more attractive & inspiring place. Email us today (opulentpixel@gmail.com) or call us to set up an appointment to see our samples! This entry was posted in Fair Park, State Fair and tagged Big Tex, cars, Dallas, Fair Park, iPhone photography, lights, Midway, Opulent Pixel, rides, Sheri Hall, State Fair, State Fair of Texas. Bookmark the permalink. This entry was posted in Opulent Pixel and tagged art, Dallas, iPhonography, local, mobile photography, photography, subscription. Bookmark the permalink. This entry was posted in Happy Hour, Margarita and tagged beverage, drink, frozen, iPhone photography, lime, margarita, Opulent Pixel, patio, salt, Sheri Hall. Bookmark the permalink. 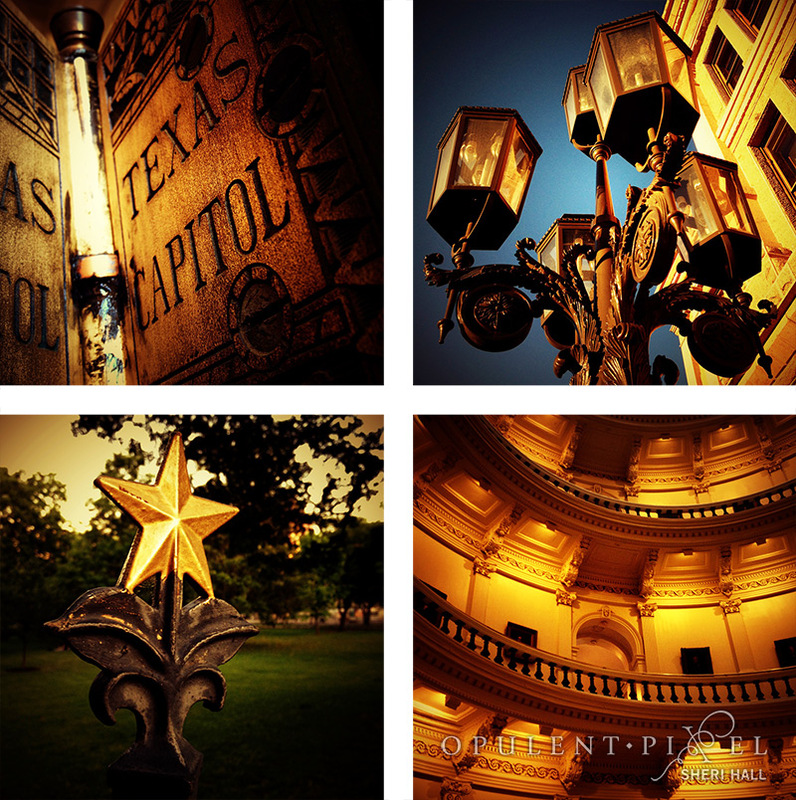 The Texas State Capitol building and its grounds in Austin are rich with history, architecture and photographic treasures. And more than a few stars. You've escaped the sea of mass-produced art and reached the world of fresh, fun, local photography. Poke around, see what we're up to and call or email us; we'll assess your space and show you how we can liven up your walls. Tell me about the art!